Look Back—How LG Office brought in Social Network to its best. Here is a summary prepared by Dr. Amrita Bahl, OSD to LG, who leads the team. Sensing the importance of social media in communication today and as per the Social Media policy of the Government of India, a Social Media Cell was set up in the last week of May 2016, with the aim to provide a platform for citizen engagement in all areas of administration. Starting with a presence on *Twitter* and *Facebook*, both platforms have seen an organic growth to 23,760 and 53,515 followers, respectively. Raj Nivas' presence on different Social media platforms was initiated in subsequent month. Today, Raj Nivas is on the following Social Networking platforms: Twitter, Facebook, YouTube, Instagram, SoundCloud, Wikipedia, WhatsApp, and website. All digital platforms serve to promote citizen engagement, especially for ideas, Grievance Redressal. An exclusive WhatsApp number (9500560001) was released for the public to send grievances to. As on date, 1723 messages have been received from different Social networking platforms, the majority directly on WhatsApp. In addition, WhatsApp groups to address specific purposes have been created. These comprise of sets of officials as members who are informed of grievances and also to increase accountability and speedier redressal of grievances. Some groups are exclusively for sharing best practices from other regions, states or countries, press releases, notes, etc. so as to keep officers informed on the latest. On *YouTube*, the official channel has featured around 113 videos of which 13 films were produced under the *Raj Nivas Productions* banner. These videos range from Tamil versions on Digital Transactions to short films on Swachh Puducherry to speeches of the Hon'ble Lieutenant Governor and other eminent speakers. The channel has had over 150,671 views. Some other initiatives introduced include regular updates to the Raj Nivas *Wikipedia* page, creation of a page on Kizhoor to capture the history, blogs on Tumblr, tweets and posts in Tamil. Content on official Social Media handles is dovetailed with the Hon’ble Lieutenant Governor's personal Social Media handles, which have a cumulative followership of over 12 million people. In addition to developing graphics for social media platforms, the Media team is also responsible for documentation of activities at Raj Nivas. This includes audio visual documentation of Hon’ble Lieutenant Governor’s speeches, Monthly Messages to Public and Officers of the Government, Weekend Morning Rounds, Visits, Inspections, and Team Raj Nivas’ efforts to connect with the public. In addition, three documents have been prepared and published. These are Team Raj Nivas Work Book, The 100 Rounds photobook, and Reviving Hope: Stories of Change. In its efforts to build Social Capital, Raj Nivas goes beyond digital Social Networking and welcomes visitors who came by prior appointment between 4pm and 5pm daily where achievers and experts from across the globe call on the Hon'ble Lieutenant Governor and offer their services towards a *Prosperous Puducherry*. This year saw 483 such meetings where 1528 people visited during this appointment hour. Of these nearly 40 offered to help through their Corporate Social Responsibility wings that has translated to 266 initiatives. Several people came to invite the Hon’ble Lieutenant Governor to a variety of events. Of the over 681 invitations received from different sources, 84 were honored by the Hon’ble Lieutenant Governor, leading to a cumulative engagement with nearly 253700 people. How RajNivas became a People Nivas in 2017..
Raj Nivas opened its closed 'silver iron gates' and engaged with all sections of society through out the year with young or old, rural or urban, local or outside, Indian or foreign, rich or marginalised, through various initiatives. Such as..
Once a month, on Saturday evenings, the sprawling front lawns of Raj Nivas were converted into an open-air theater where children, parents and teachers assembled to watch films. As part of this _*Raj Nivas Film Series,*_ 3439 Through 9 Films Screened based on by values of leadership, management, patriotism, character. From Films to Raj Nivas *Lecture Series. Team RajNivas engaged with 1745 citizens on Thought Leadership through a series of interactive sessions by 9 eminent speakers from various fields. This series was launched with the K.R. Malkani Memorial Lecture. The _*Visitors’ Hour*_ provided an opportunity for a guided tour through Raj Nivas and a meeting with Hon'ble Lt. Governor. Technology enabled an online registration on the website and 112 groups of 2012 visitors visited this heritage building. Pictures of visiting groups are posted on the RajNivas website. 8450 persons over 26 *Celebrations* participated in Inter-Faith prayers, Iftar, Diwali, Christmas,etc. with the same spirit of harmony. The organic vegetable patch, *Vegetarian cuisine policy and Yoga Mornings_* on 21 Sundays at Raj Nivas spread a message of healthy practices. The Durbar, Banquet, Lawn spaces of Raj Nivas hitherto formal Meeting–dining areas, are now *Optimally Utilised* as platforms for intellectual interactions with citizens across a spectrum- Public Officials, NGOs, Youth and Seniors. Trainings included sessions on Domestic Violence, Digital Transactions, etc. To foster an exchange of information and ideas among individuals and groups that share common interest, Raj Nivas organised 23 *Networking* Sessions with 3952 citizens such as like minded philanthropists, business forums, etc. *Multi tasking of Resources* is now a regular feature in the Raj Nivas. Interns benefitted by this experiential learning platform as well as added strength to the various inititiatives of Team Raj Nivas. There is an emphasis on training and raising the capacities of human resources. *Transfer of every gift received collectively or individually by Team RajNivas be it / flowers/shawls/ Sweets/ books/ artefacts/ and more,received stand transferred to NGOs and Visitors. The *Raj Nivas Outreach* programme aimed to collaborate resources towards Swachh initiatives, revitalization of water bodies as well as rural schools. Hundreds of NCC, NSS and others volunteers swarmed in for morning bike rallies. The *Inmate Reformation Programme at Central Prison, Kalapet focused on crime prevention through their reintegration by providing skills training through NGOs coopted through above visitations. Raj Nivas *supported* Thimmanaicken Palayam in the Manaveli assembly constituency in Puducherry with a vision to empower the villagers to become self reliant. Since December 2016, 232 generated CSR activities have been carried out successfully. On *The Way Ahead* is a synergy of resources to support Rural Schools, Foster Youth Leadership and Revitalise Water Bodies . Raj Nivas to Peoples' Nivas...is a journey that has created Assured Accessibility, Experiences and Impact within parameters of security and financial prudence. Objective being that every citizen must feel a right to Its own..People Nivas/ for Justice as well as Celebrations-All ages all sections of society. Look back on the way Raj Nivas dealt with public grievances.. Analysis of grievances addressed by RajNivas in 2017. Team RajNivas addressed over 13,075 complaints this year. These came from all sources, such as Open House 5762, Email or Website 5692, by Whatsapp 1632, all hundreds of News Paper reports etc. Maximum complaints (2492) were concerning civic issues such as Sanitation, Sewage, Garbage, Silt, Public Nuisance, Lack of Power, Street Lights, encroachments, dog, cattle, pig menace, need for trees pruning, pot holes, bad roads, and more. The next highest was in the category of Service Matters, such as issues of postings, transfers, promotions, pensions, delays in service matters, regularisation of temporary appointments, non filling of vacancies, back door employments etc. After this it was Dept of Education, such as concerning lack of teaching staff, school facilities, non availability of a principal or a head master etc. Many other complaints were of corruption, medical admissions, wastage in high mast lights, wrong tenders, faulty procedures, or wastage and delays in implementation of projects and neglect of built assets etc. On police front it was mostly of Rowdy extortions and threats, land grabbing and frauds. Several other matters of nuisance by liquor shops, agricultural issues, road safety, family disputes, etc also came. Team RajNivas grievance redressal team comprised of Secretary to LG, private secretary, chief grievance officer, PRO and a family counsellor, Lok Adalat para Legals and myself. Daily Team RajNivas directly attended from 5Pm to 7 PM people coming on first come first serve basis in the Open House listening to their complaints. The poorest of the poor, men, women and even children came. They were served a cup of tea at RajNivas while they waited to be heard. For Karaikal , Mahe and Yanam, Team RajNivas conducts grievance hearing via a video conference every Friday 5-6 PM. All these sources have been an enormous source of information and insight to Team RajNivas. It enabled focus on people's needs by connecting them with the concerned officers, field checks and most of all check the run away corruption and irregularities where officers thought they may escape. Refusing to simply be a post office, the easy access to RajNivas made us receive considerable information from RTI activists based on authentic information. Places and targets of weekend rounds came from Open House and other sources mentioned. In all 128 Weekend rounds were conducted to directly see, resolve or highlight issues. In this Team RajNivas at times served despite opposition and even sabotage and hostility of the local leaders. But it did not stop the effort. Itstrengthened the resolve. Good news is some of the same persons are now inviting team RajNivas to visit their problem areas. The key Team RajNivas which worked relentlessly were, Dr Bascarane, Mr R Sridhar, Mrs Stella Marie The Counsellor, Protection officer from Social Welfare Dept. It is this which made RajNivas a People Nivas. The year 2017 in Puducherry for RajNivas was one of trials and tribulations. Yet the Lt Governor's office went on perseveringly to address people's needs. It did not weaken in its resolve. On the contrary it strengthened its determination to connect with the common man more. Every single day it made the effort to rise above and keep up and energise the effort to coopt and collaborate with all available resources from all directions across ranks and communities. Raj Nivas stood firm in ensuring people are served and financial managment remains under close watch. Corruption was the main target and any complaint, against whom so ever, if based on credible evidence, was dealt with firmly. Which is how irregularities in medical seats got brutally exposed and is now on its correction course for forever. Matter is before judicial system and will take its own course. Time will tell, as matters are under CBI investigation. We dealt with every grievance through in-house Grievance redressal system, be it received by emails, whatsapp, or control rooms. All complaints were got addressed. RajNivas sought reports only where necessary. Most of the matters were dealt with by connecting the petitioner with the officer concerned with a request that the person be heard and matter decided on merits. In stubborn or complex cases file was asked for to examine and guide. Lok Adalat and female counsellor services for dealing with Crimes against women was a big support in grievance redressal. We now widely circulate and post information on RajNivas website about matters disposed off during the week for any one to know if there is any matter pending with LG's office. Or if decided, know the outcome thereof. This empowers people and checks spread of misinformation. The year ahead 2018, appears to be heading towards harmonious and more credible work due to change in bureaucratic leadership at the top. The 2018 plan is under formulation as each department prioritises and plans areas for attention. Once oncourse it shall run full steam. First such meeting is today. I now urge the people of Puducherry to take a few responsibilities on themselves to make Puducherry cleaner, healthier, safer, orderly and economically more productive. This will hasten all round progress. The RajNivas thanks all the people of Puducherry for the enormous support, trust, respect and love they extended to us all year round. We shall continue to do our utmost to make Puducherry an attractive UT in the country. This be a common resolve. I welcome this new team now. Puducherry Administration is now blessed with two totally honest and professionally sound, IAS officers, namely Ashwini Kumar the Chief Secretary and Anbaras. Orders have been issued for Anbaras who gets to over see PWD, Education, Agriculture and Personnel and even Fire Services. One the Chief Secretary and the other now Development Commissioner. Their approach to work is different from the past I have seen in the last 18 months. They are both most respectful of rules and highly sensitive to people's grievances and needs. They are officers who will live by example rather than by orders. Both have come with great reputation and work experience. The kind of officers Puducherry needed in such sensitive position. 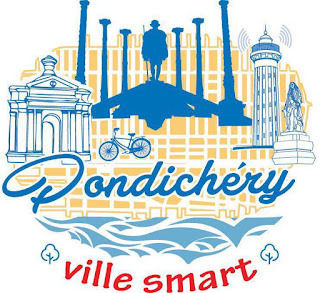 Puducherry is most fortunate in having them at this juncture when we are on the Smart City list and will receive substantial funds in this regards. Hence keeping Puducherry corruption free, loss/diversion of funds and from irregular appointments etc etc. I wish them both all the very best. May they succeed now in serving Puducherry. May they bring in good financial health, development and prosperity. I have no doubt that they will expeditiously identify corrections needed in each department and forge a sense of urgency in improving matters all round in Puducherry for a better present and secure future. And consider them as a blessing for Puducherry before the onset of festival season here. festival season and new year party revellers evade entertainment tax. Information is flowing in that due to vested interests interference festival season and new year party revellers evade entertainment tax. Which causes serious loss of revenue to municipalities so short of revenue. This year people will be encouraged to report on a whatsapp no in media and names of info givers will be kept confidential of any evasion. Tough action will be taken against evaders. We are also deploying decoys from citizen groups/ volunteers to detect entertainment tax evasion this year. Hence all are requested to follow the law. Secretary LAD is requested to immediately gear up municipalities staff and squads to detect. Any interference from any vested interest will be made public..
Action LAD Sec, Director LAD and both MCs. Pl issue an enforcement order of if not issued already. And share it on whatsapp. Which officer is responsible for which area. And in the end of season declare who collected how much. And arrangements be made by name. This enforcement shall be under the over oversight of Sec LAD. Take the help of any Dept which secr LAD may need including the police. Kiran bedi. We shall set the practice and seed the culture of close collaboration and accountability. We must create a whole new work culture for implementing Smart city Project. Anyone in this project must be sworn to integrity and love of service. There be no overruns so that projects complete in time and not left half way due to shortage of funds caused by cost escalation. People must be kept in the loop. A transparent bulletin on progress of Smart City projects and work in hand be always available in the media and on our social networks for people to know what is happening. They must keep a watch. It's their property. A people's network for Smart city watch must come together comprising of knowledgable NGOs and individuals who collaborate and regularly interact with the Government for the good of the people. (This project MUST be scam free) it must create independent audit systems open to public scrutiny. Alongside urban improvement villages must be invested in by self governance by holding early panchayat elections for grass root democracy and development so that Puducherry as a whole becomes Smart. A UT Which is clean, safe, growth oriented and youth full of skills and involvement. By employment generation, internships and volunteerism. The leadership which leads the projects must be a committed one. With new leadership in bureaucracy this can be achieved. 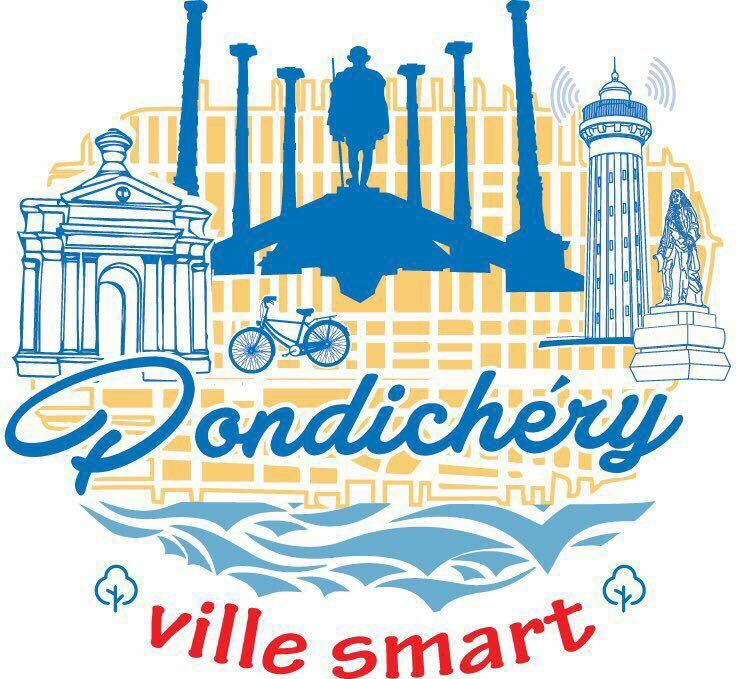 Let Puducherry become an acclaimed Smart City amongst all in achieving this--by beginning right. It has begun by winning the best Logo Award. Now we must move on to best implementation award. The RajNivas will hold fortnightly reviews of the progress in Smart City every fortnight as a duty. It starts from New Year. We shall set the practice and seed the culture of close collaboration and accountability.. Kiran Bedi.